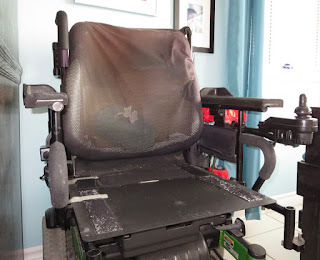 Walking, Way Overrated: Old Faithful- My 12 Year Old Invacare Arrow Power Chair In Motion! For research purposes, I just made a video (down below) of how perfectly my "Old Faithful" Invacare Arrow." TT (True Trac), Gearless Brushless motors, with Power Tilt Seating (there is a 2GT sticker on the base-not sure what that means), can manoeuvre and stop perfectly and smoothly when going downhill. Old faithful when it was new! but motors and controls work great after all these years. I don't have a video of the new one in motion, but see how smooth O.F. is!